Get your FREE Sample issue of British Railway Modelling today! 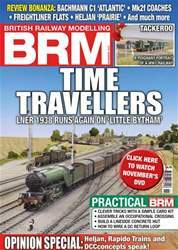 BRM is the only monthly British model railway magazine to produce a FREE monthly video – BRM TV. Each episode (over 35mins) covers all of the above subjects in more depth, giving behind the scenes access to numerous railway sites, clubs and events across the UK. So why not take a look? • Heljan Gresley 02 preview. • Interview: Gaugemaster on the company’s 40th anniversary. 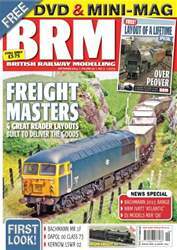 You'll receive 13 issues during a 1 year British Railway Modelling magazine subscription. I love the extra features like more video and pictures. It makes a great magazine even better. BRM beats all other railway modelling magazines hands down! I love the extra videos and pictures you get with the digital magazine. Good work BRM. Really enjoying all the extras....great magazine. Good model Railway mag with the latest news and some great layouts. Only wish they would have a little more for modern image on a consistent basis but otherwise a great read. 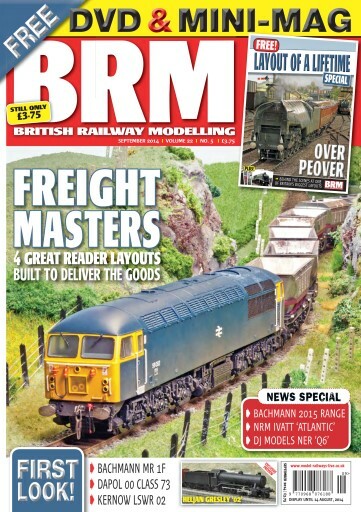 You'll receive 13 issues during a 1 year British Railway Modelling magazine print subscription.